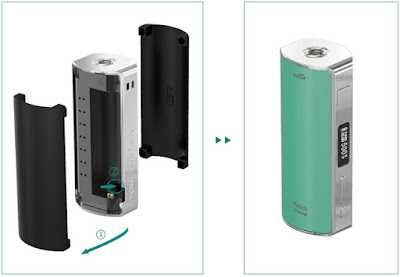 Elegant and rounded with attractive colors, the iStick TC60W features its changeable magnetic covers for ease of switching your 18650 cell and changing the covers into a different color. There are six attractive colors for you to choose from: black, white, teal, blue and grey. Very Beautiful, if you still don't like them above, don't matter, we will post many kinds of skins for the iStick TC 60W stickers at our blog, pay attention to us, you can get them as soon.